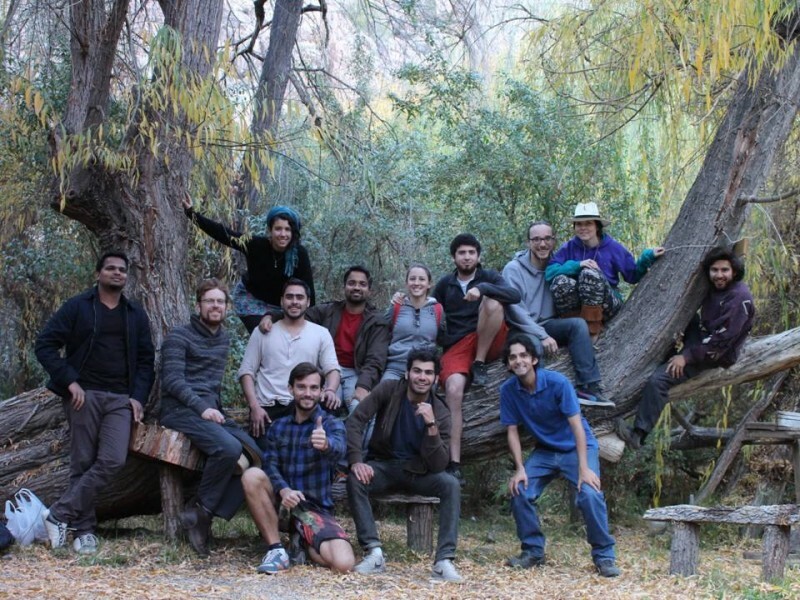 Valle Del Elqui, Chile’s mellow toned, mystical and tranquil gem received 13 international entrepreneurs from Startup Chile. 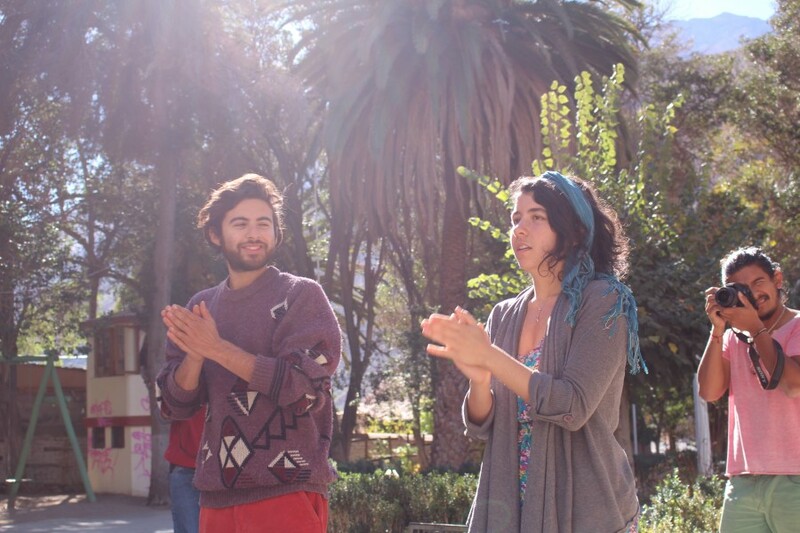 The Ignite Experience was a weekend of exchanging knowledge, inspiring and being inspired by the community and the children of Tierra y Valle. 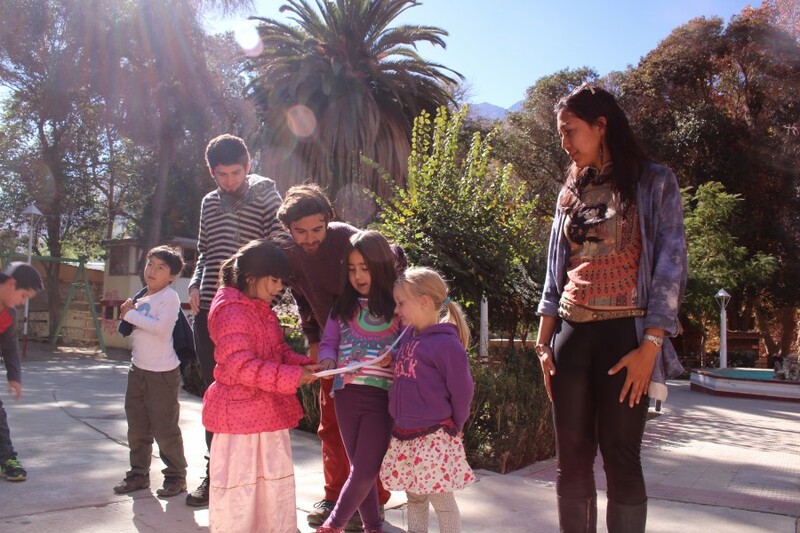 Tierra y Valle is a cultural and sustainability education center connecting children to nature and fosters leadership, creation of culture, development of the family, neighborhood and society. 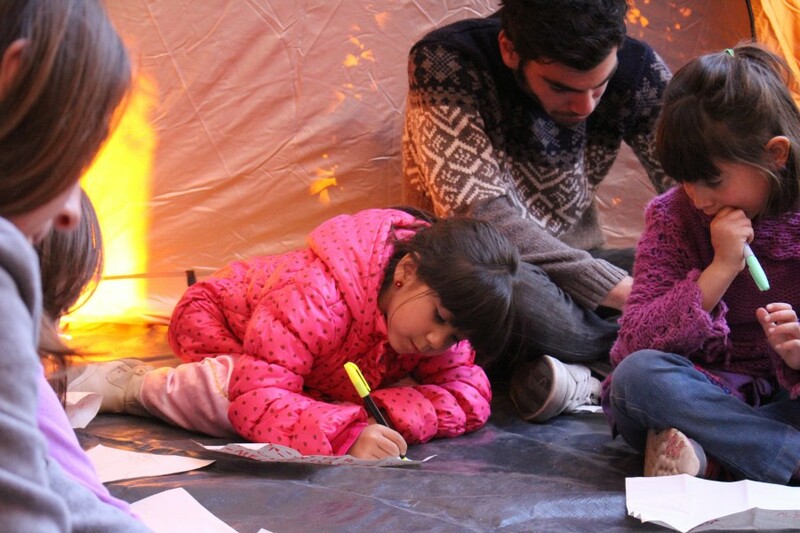 My partner Bryan (Untos) and I (Dream Activation), NuMundo and Evoluzion co-designed the very first “Ignite Experience” with the purpose of hosting engaging activities to cross-empower children, community and international entrepreneurs alike. After a lengthy 10 hour journey to Valle del Elqui, we were all exhausted but ignited with excitement for the action. 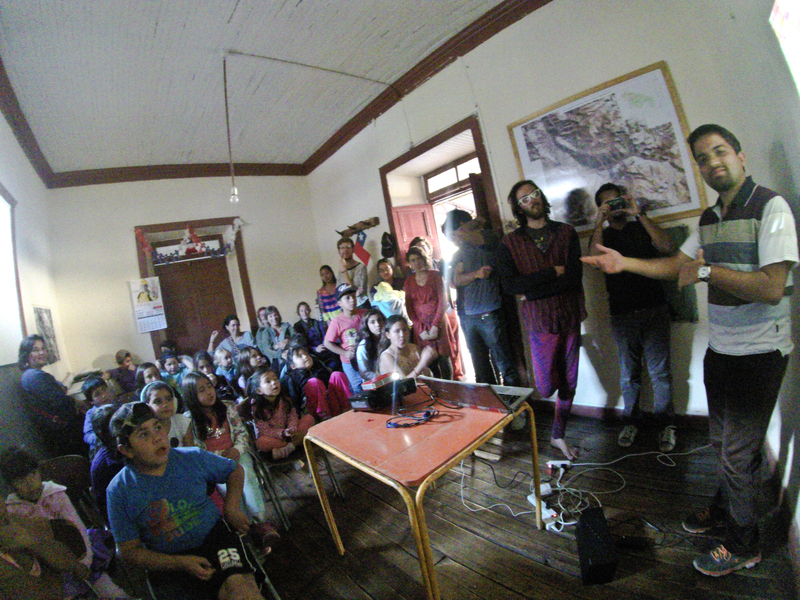 We filled almost every room in a hostel that overlooked gorgeous mountains and had regenerative systems in place like grey water purification and composting. After a few hours of settling in, resting and practicing for the cultural exchange, we were off to meet the children and give presentations to inspire the kids. For many of them, it was the very first time ever getting to know leaders from India, Philippines or Germany. Laughs, knowledge, wide-eyes and new cultural perspectives were shared. We all skipped over to Tierra y Valle to see that the children were all preparing Churrascas, a traditional Chilean bread as a gift to us! 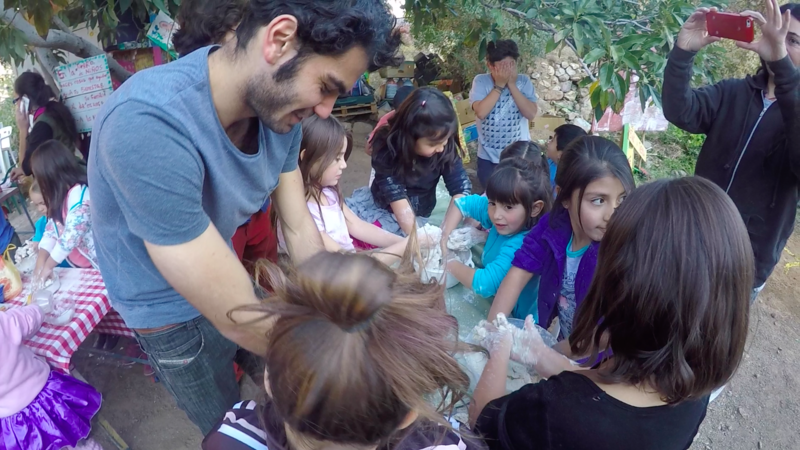 The kids taught some of us how to make Churrascas while other entrepreneurs were receiving a lesson about worm composting from one of the boys. For some of the entrepreneurs it was the first time learning about transforming food waste into soil! Our team scattered about the land taking in their innocent wisdom as we toured their personal little garden plots each of them were tending. The day closed in awe as we said our “hasta mañana’s” to the kids. Fresh and ready for our biggest day of the weekend to engage with the kids and community, we gathered to discuss our roles as “superheroes”. Programmed and facilitated both Bryan and myself, we led a 3 hour leadership activation activity that interweaved the entrepreneurs (superheroes). The entrepreneurs represented a team of changemakers who were there to invite the children to “join us”. We helped the kids identify their superpowers, led them on a meditation to vision their community in the future and asked them to draw what they imagined. The entrepreneurs worked one-on-one with the children helping them to come up with ideas for their passions and motivations. Creativity, imagination and sharing were ignited for everyone. 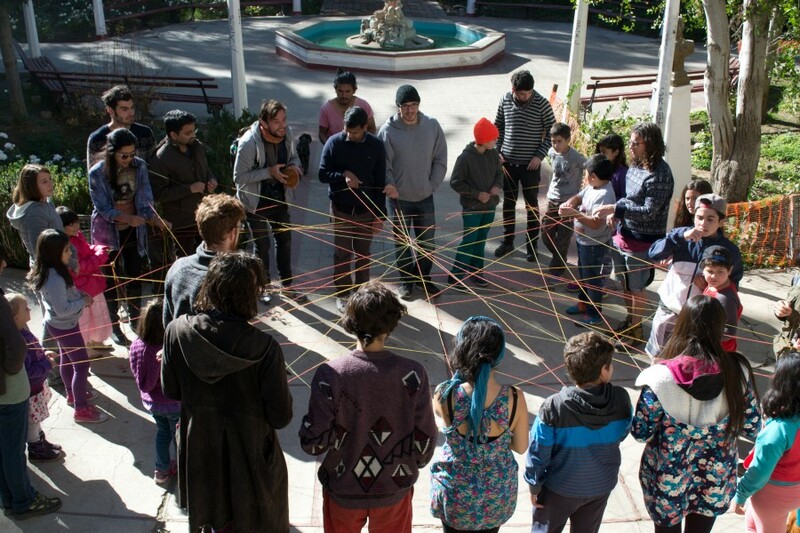 We then rolled into a yarn game to interweave a network of each of our superpowers with the kids as a representation of our gifts, and the purpose was to instill that we are all part of a unique ecosystem that depends on each other. 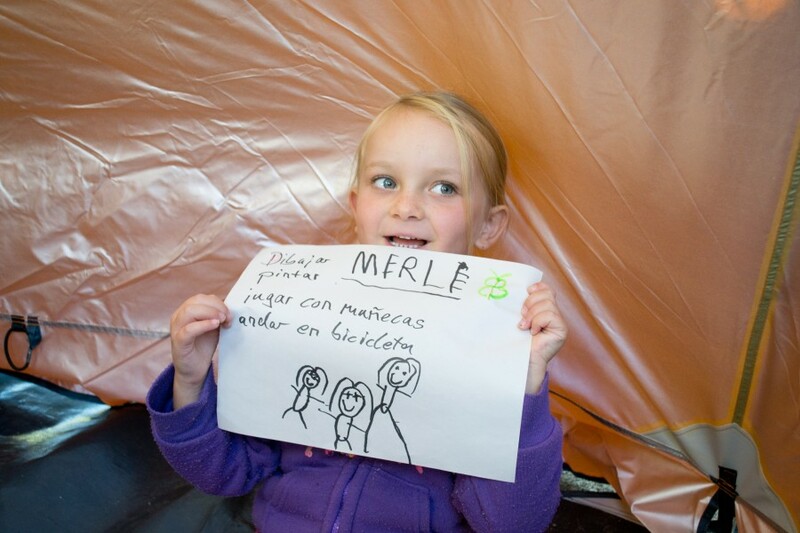 Once everyone shared, we asked the kids to shout out challenges they identified in their community. The answers of these 6-13 year olds were brilliant. They identified, drought, use of pesticides, pollution, garbage and fighting to be the most prominent. We split into teams based on each of the identified challenges mixed with parents, entrepreneurs and children. To our amazement, we witnessed incredible solutions crafted by the children. During the next 30 minutes, the entrepreneurs guided the kids combining their superpowers and visions for the future to work together on coming up with solutions for these challenges. The entrepreneurs were essential role models who kept everyone having fun while discussing important topics. Finally, each group presented the children’s incredibly insightful solutions. The garbage team, had the idea of building a bottle bricking and recycling center out of bottle-bricks and adobe complete with a campaign to get their town’s people to bring the trash to the site. A 10 year old girl came up with the idea of using plastic bottles cut in half for drip irrigation (an ancient aztec technique). The drought group came up with recycling water using a greywater system and having a tree planting party on the hills to retain water. 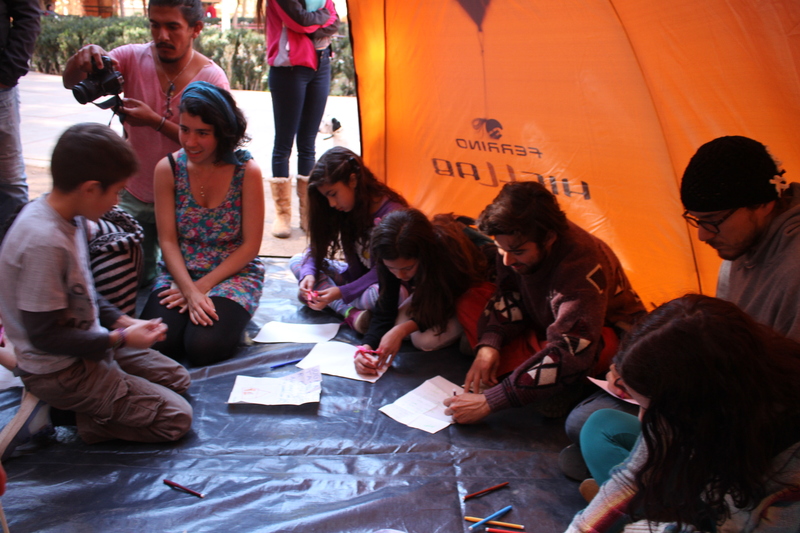 With the support of Tierra y Valle and Evoluzion, the kids plan on working on these ideas long-term. 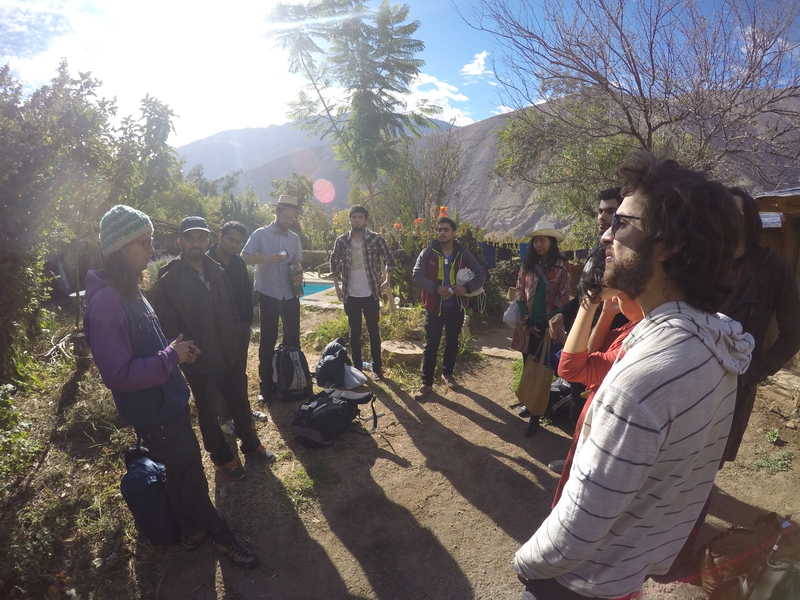 The second half of the day, the entrepreneurs worked in Tierra y Valle helping to make improvements to the site and having a mentorship session with two Tierra y Valle, local eco-hostels, and Arropa. The final day of the Ignite Experience was spent biking down a wavy valley highway to the oldest Pisco distillery in Chile that’s still producing with traditional, organic methods where we sampled their sweet wine and orange trees. We closed out the weekend with a circle under willow trees by a river to share our gratitude, love and feedback about everything. It was apparent that this was a heart-opening and bonding experience for the entrepreneurs after hearing all of their reflections. The Ignite Experience was truly a cross-beneficial, rewarding and innovative transformational tourism adventure into the heart of culture, youth and wisdom exchange. Although this was the first and has room for improvement, this has ignited a new flame within my heart to continue this type of work. It was a beautiful reminder that simple actions like these can have infinite ripple effects on the lives of children.